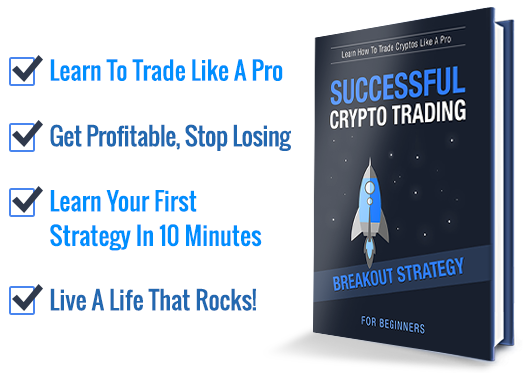 Learn an Easy Crypto Trading Strategy – Claim Your Free Ebook! If you're new to trading you might already be suffering from some losses – or, if you've got a lot of respect for those volatile markets, you maybe even haven't had the courage to actually trade so far. No matter what - if you want to make money by crypto trading, you need to have a plan, a trading strategy - und you need to have some basic skills when it comes to chart analysis and how to manage a trade and the related risk. Don't waste time and money by not really knowing what you're doing – start acting like a professional trader right away who has a serious goal: Get as much out of those markets as possible! Only now it's still kind of the "Wild West of Crypto" – But the more professionalized those markets will become (like Forex), the harder it will be for normal people to make a lot of money fast, or even at all. Uset this chance – Learn crypto trading now! Curious? Get this Freebie as a taste of what you could get in the full version – simply fill in your email address below the ebook cover image so we can forward the ebook to your inbox. Have fun trying out this easy but effective strategy! Please note: The content of the ebook is for educational purposes only and should not be treated as financial advice.